Canterbury Paintball. Kids paintball party & adult paintballing in Canterbury. Welcome to our Canterbury Paintball site. 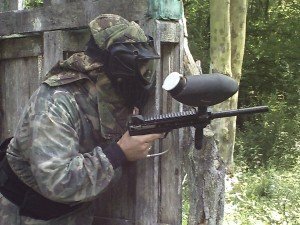 Adult Paintball, Childrens paintball and Paintball parties in Canterbury! RW Paintball offer you the best value Paintball, Childrens Paintball and Laser Tag in Canterbury. Our Canterbury Paintball site is just off the A2, at Upper Harbledown and offers amazing woodland play zones. We are just 10 minutes drive from the City Center and run paintball games for both children and adults. We also offer paintballing in Canterbury for kids. Childrens paintball, also known as mini paintball or low impact paintball, is available at our Canterbury paintball site. This game has been specifically designed for 8-11 years olds to give them all the fun of the adult game but in a much safer environment. You can find more details on our kids paintballing games by clicking here. Our exciting woodland paintball site offers a number of high action games across 5 amazing paintball zones. Each zone has been designed to get your heart pumping and make sure you have an amazing action packed day. Playing zones include: The bridge field, Attack & Defend, VIP assassination in the Jungle, Full scale Riot and The OMG Field. Some set out for teamwork, others for attack and defence or hostage scenarios. At Canterbury we offer paintball for stag parties, hen parties, birthday parties from 8 yrs and any occassion you can think of. Best of all, we have a straight forward, honest pricing structure, designed to offer you the best value paintball experience in Canterbury. We think our Adult Paintball prices are the best around. Click here to see them. We now offer kids paintball in Canterbury for 8-11 year olds. Our Canterbury paintball site now runs a low impact game specifically designed for 8-11 year old children. Low impact kids paintball, sometimes called mini paintball, is perfect for younger children. They play in all the zones of the adult game but in more controlled paintballing environment. We guaranteed them 8 games across a 2 hour, fun filled, session. As long as you can handle the paintball war stories on the way home, it will make for an amazing kids paintball party. For more information on childrens low impact paintball click here. Canterbury Paintball is open most weekends. Prebooking is essential so get in touch to book your place. During the week we can even open for larger groups and corporate paintball days. Click here to book your paintball now online or call us on the numbers at the top of the page. RW Paintball Canterbury is based just a few miles away from the centre of Canterbury at Upper Harbledown, Kent. We are ideally situated for anyone looking to play paintball near Canterbury, Whitstable, and Ashford. If approaching the site from the M2, take the A2 towards Canterbury, after approximately 4 miles you will see a Texaco Garage on your left. At the garage exit there is an un-named slip road, take the slip road and continue for 300 meters, there you will find the entrance to the site on your left hand side. WARNING ! The slip road is immediately next to the fuel garage exit, if you should miss it there is another slip road a short distance along the A2. If you should use this exit, take the first left, follow the bend and the site is on your right. If you are approaching from Canterbury, take the turning for Upper Harbledown. Follow this road, take the next right and you will find the site entrance on your right. This site is one of our Paintball Kent sites and can also be found on our things to do in Kent page. 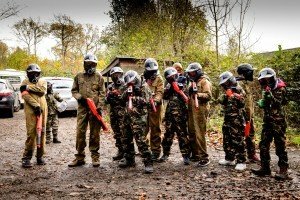 This site offers paintballing in Canterbury for adults and kids.